Iran's deputy foreign minister says he believes European Union nations soon will announce they've created a program for Iran to continue trade there and avoid re-imposed U.S. sanctions. Abbas Araghchi told Iranian state television by telephone on Thursday that he expected the program, known as the "special purpose vehicle," to be ready for business in one or two months. EU foreign ministers are meeting Thursday in Bucharest, Romania. Iran's Ambassador to the United Kingdom, Hamid Baeidinejad, similarly tweeted he believed the announcement of the program was imminent. 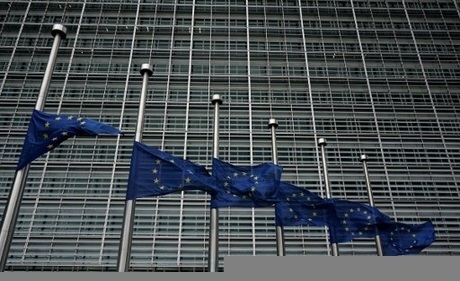 EU officials have not formally acknowledged the start of the program, though German media reports suggest that France, Germany and the U.K. have finalized creating it. The reports say the program will be based in France and will have a German director.